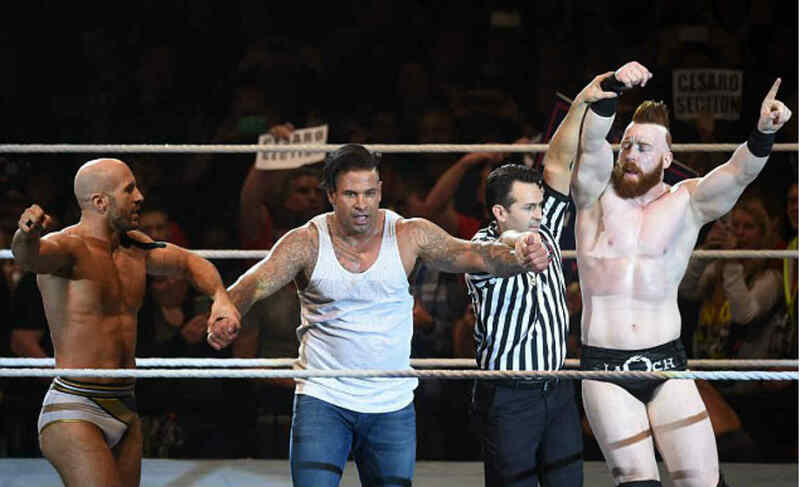 Former Germany goalkeeper, Tim Wiese got off to a winning start in his WWE debut bout in Munich on Thursday. He defeated Bo Dallas and team of the Shining Stars. Wiese was given his WWE debut in his home nation of Germany, the country he represented six times as a player. He was teamed up with current WWE stars Cesaro and Sheamus as “The Machine” (Tim Wiese) used his finisher, body splash to get the pin-fall. The German crowd support helped the Ex-Hoffenheim shot stopper to claim his first win in the WWE. His first appearance in the sport came as a special guest timekeeper in a live event at Frankfurt. Triple H who is the vice president and executive of WWE talent invited the 34 year old to train with the company.